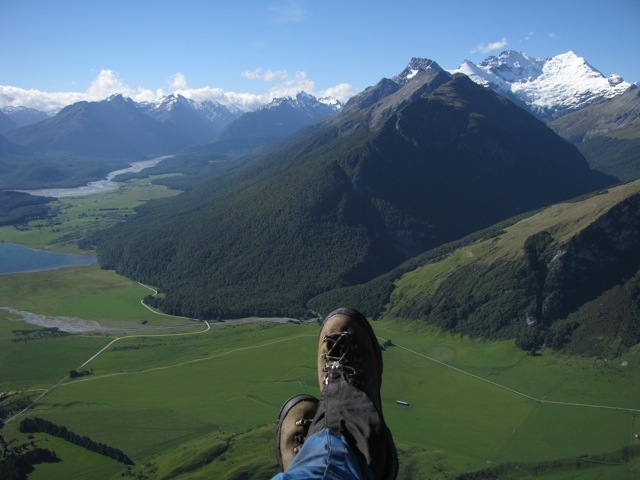 I learnt to fly specifically to explore the mountains around the southern lakes of New Zealand, and have been there every summer since…. My first summer flying in New Zealand. A much anticipated event, and it did not disappoint! 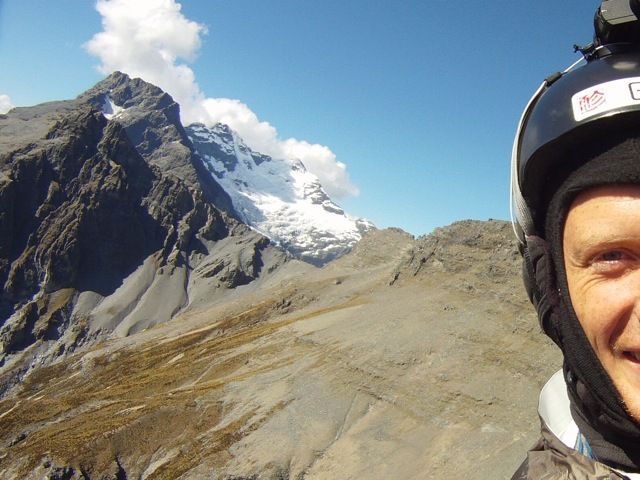 Most flights were mixed in with tramping trips with mates, and just added a bit of extra buzz. I was pretty green and on a beginner wing so I wasn’t really going anywhere… but since I was often flying places no one had been it was quite exhilarating. Preparing to fly back to the van, before a choppers wake whirled my wing around! Having just met Hamish we had all kinds of plans for backcountry flying trips, but were mostly grounded by a relentless norwester. Flying Hamish’s Nova Tattoo was very memorable, then it was mostly tramping and even some kayaking (aka swimming) before a single task in the Wanaka Open and a lunchtime Moke lake flight before an afternoon flight on Air NZ! I got a taste of the Craigieburns, visiting Hamish in Christchurch, before driving to Glenorchy via Mt Peel. 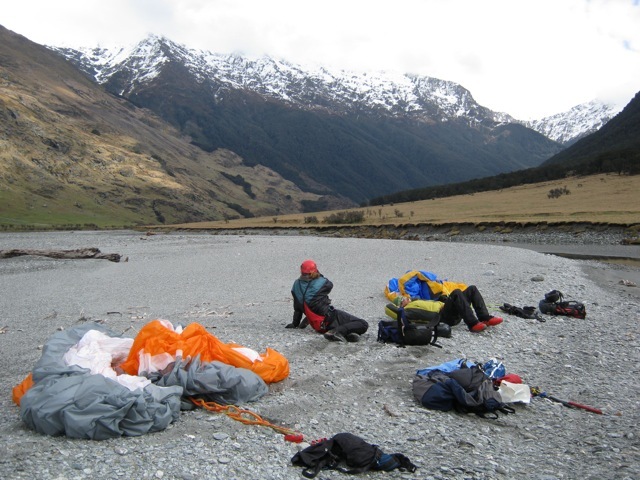 As well as some great flights and tramps around the Glenorchy area, Hamish managed to drag me off to some new country, we walked the Siberia – Young with small wings, besides an interesting day from Brewster hut and some nice flying at Treble Cone. Easter is a very stable time of year in New Zealand. After finally managing to do an SIV, I did a four day tandem vol biv with a mate. We had excellent weather and flew every day. 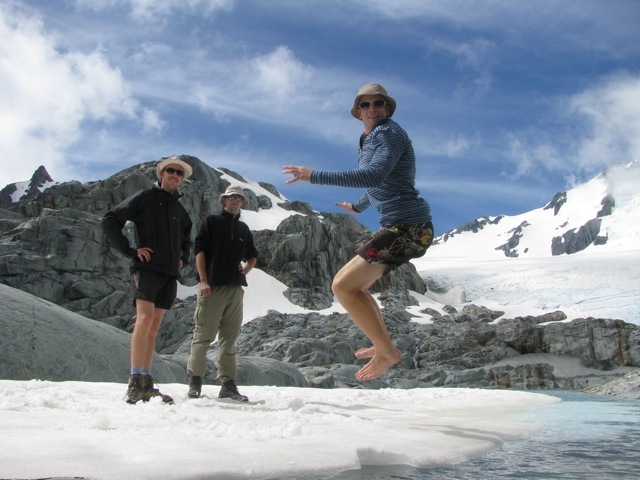 A couple of friends from Brisbane wanted to go to New Zealand, Peter to climb Aspiring, and Josh to speed fly off the top! My ambitions were tempered with experience, but with Andrew joining us there was plenty of energy and we had a lot of fun. 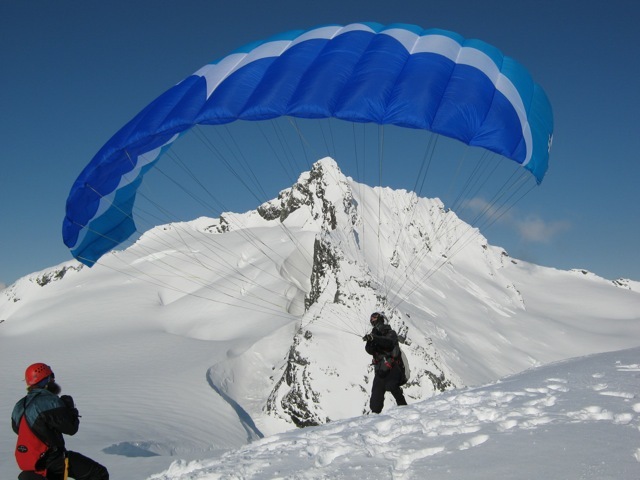 What we managed to squeeze into the next 5 days was quite exceptional – a group flight from the Pylon (Cascade saddle), Treble cone speed flying, skiing, and waterfall soaring, a Lake Hawea sleddie, and a Mount Earnslaw speed run. 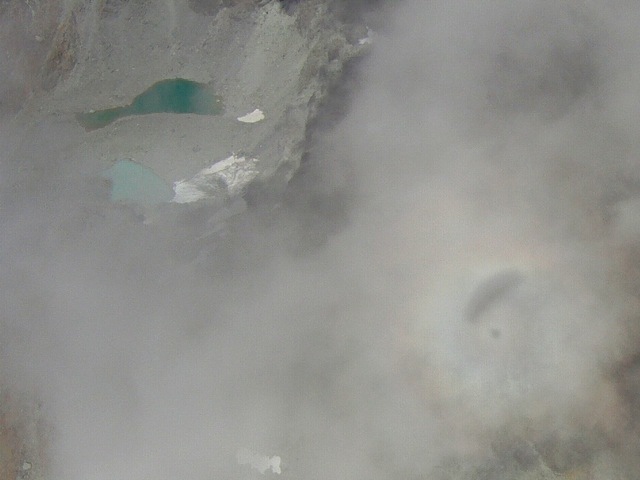 Other highlights included a visit from Bec, and a trip up the Earnslaw burn with an American bloke, who I’d met while doing the Liverpool vol biv up the West Matukituki which included some mountain climbing – in cloud, mostly! 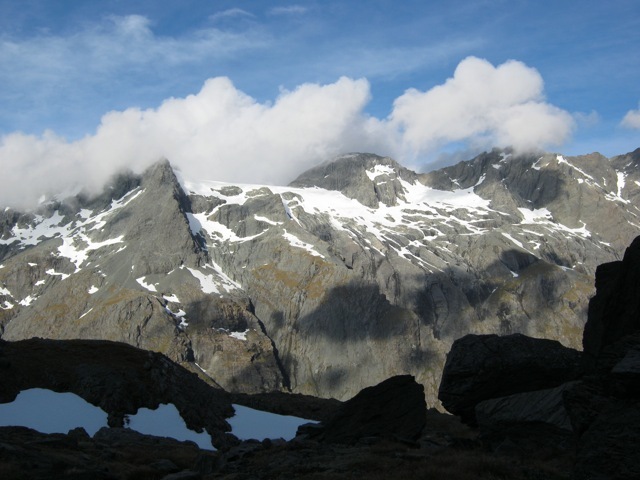 Plenty of other trips, some I’ve written up, such as my last vol biv trip to Fiordland. My most recent trip was an absolute cracker. Everything was so dry with drought that the moss turned to dust in your hands, and there were some epic conditions – see this 3min video for a quick summary of the trip – just over two weeks. 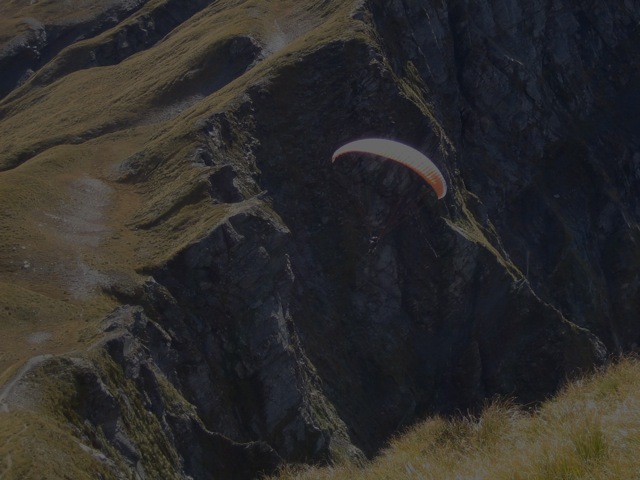 After a two night tramp with Mum, a variation on the Routeburn, I took her for another 40min tandem with the acro pilots at Lover’s leap, before slope landing, swapping wings, and flying off in the evening for 4 days of vol biv in the Dart valley. My most epic flight of the season was a circumnavigation of Mt Earnslaw (2830m), a good story to tell at the Glenorchy (horse) Races that same afternoon. 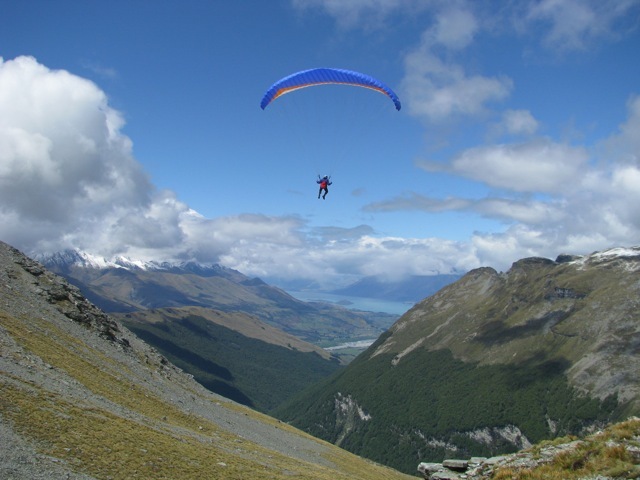 Then after a great stags do at Ben Lomond lodge I quite literally flew (and walked) back to Glenorchy. After having a year to think about it whilst working in Antarctica, I was off to check out New Zealand with a sailplane glider as soon as I got off the boat. This was a great way to see the country and start my adventurous two year break. Here I also christened the LM5, my first EN-D (serial class performance paraglider). 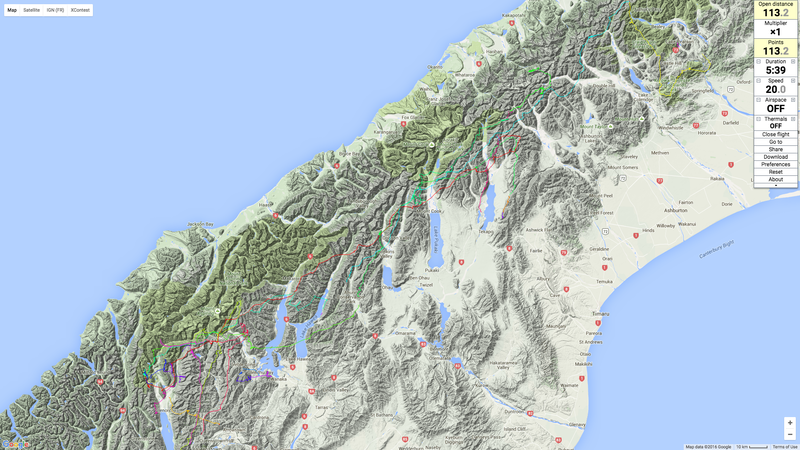 Two blogs give a wrap up of the flying in late 2013 and early 2014 (no blog for the Nelson competition or Hurunui paddle and fly (youtube)). After getting used to my new wing and flying all around the world I was looking forward flying new routes in New Zealand. We had the best season of flying ever. After successes in X-Berg and X-Pyr I had been accepted for X-Alps and was looking to improve my flying. Breaking the triangle record was a good start. 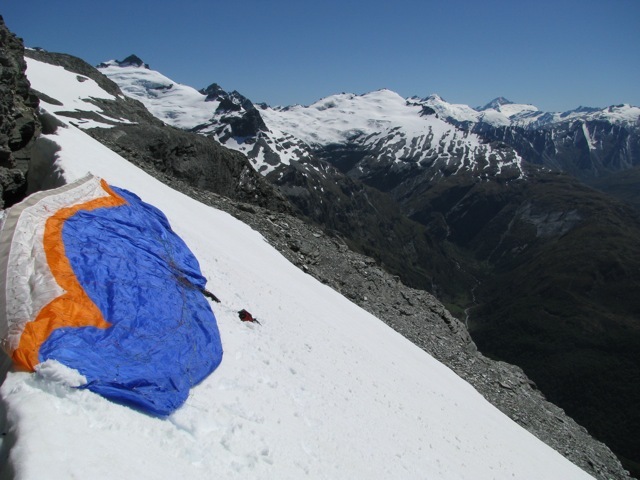 I was also exploring all kinds of amazing terrain, and undertaking an express version of Ferdy and Tom’s vol biv traverse of the South Island got me thinking about breaking the open distance but I didn’t quite manage. Can’t complain though! Another month or so in New Zealand was a brilliant way to wrap up an excellent two year break travelling the world. Dare I say it, this summer was even better. My blog of the summer shows the mileage done over spectacular scenery. More records fell and more places were explored but there remains plenty to be done! After going back to live in Australia whilst training as a meteorologist, this summer was much anticipated. I had some amazing flights but the reality was we were fairly hamstrung by the norwester, with some interesting diversions. Back for more! A little stonker of a trip around the Arthurs pass area, flying over a few rocky lumps and then pushing out to the west coast in the rain. Someone should be out there! In between south Pacific sailing trips I had a few flights in the North Island but I will have to go back. The weather was terrible most of the time. 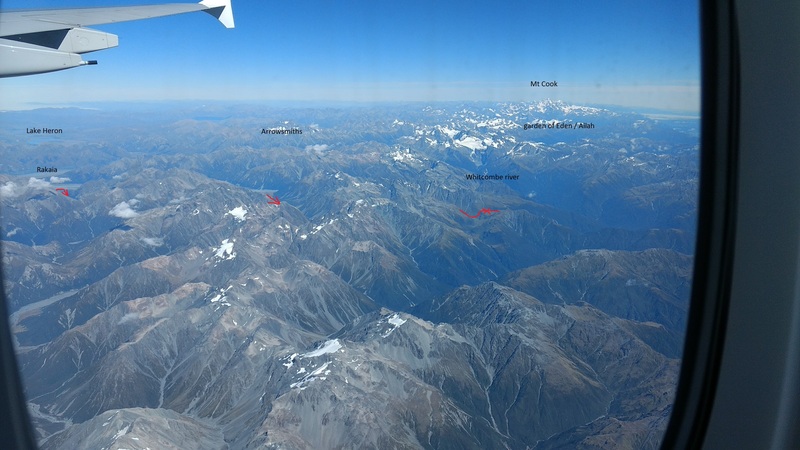 In the South Island I also struggled but also flew the Pisa, Hunter (north of Earnslaw), and Eglington for the first time, and then in Canterbury I flew Hanmer and Mt Hutt. Returning (from work at BOM) for a week in January I had a great trip about the head of the Waimakariri, and in February another sneaky week away where I tried to link Queenstown and Christchurch. I fell way down the rankings in xcontest (if that matters) but it was a low scoring season. Hike and fly? an idea of what to expect in New Zealand. Pingback: New adventures | Put on your boots and go!